Hi friends! Sorry for the late post, I am not feeling so great. This week's EtsyInspired shop is Lemon Kissed. This shop makes super duper cute jewelry! I wish I could buy up the whole store! I love the fresh designs and all the fun colors! 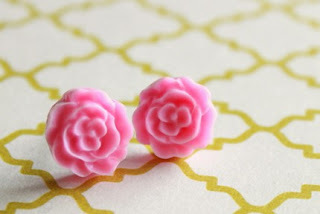 This week, Lemon Kissed is giving away a pair of mini earrings. We also have a sponsor this week, Pholkart Blessings and they are giving away some digi stamps. Stop by the EtsyInspired blog to see the rules and to link up your post for a chance to win. Here's my project based on the earrings above. I also made this for an Unity challenge to make a mini card. The paper is Echo Park and the stamps are Ippity. PS PLEASE go check out this awesome blog candy for a cause. The stories are SO amazing! What a great sentiment! 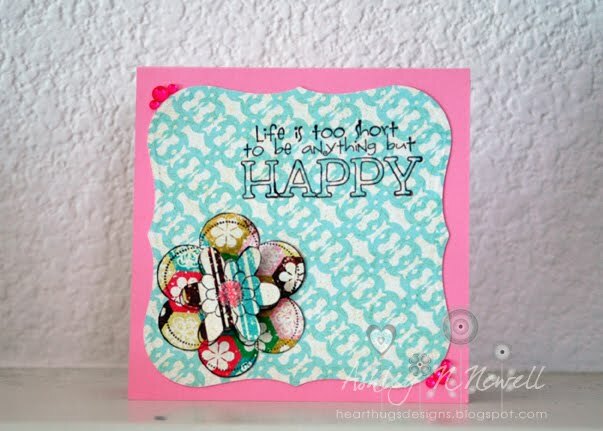 Such a colorful and fun card...just like the shop this week! Sorry you are not feeling well! Love how your card plays on the pattern in the background of the earrings as well as the color! Gorgeous! And what an awesome sentiment! Um....let me see if I can give you something other than LOVE---I LIKE x10 this card:) I love it! Your sentiment is PERFECT:) LOVE it!! You are AWESOME:) TRUTH x10! !